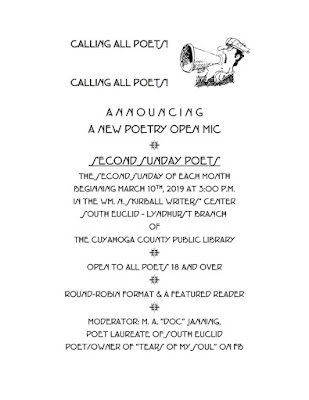 My next reading is March 10th at 3 p.m., where I'll have the honor of being the first featured poet for a new monthly series curated by M. A. 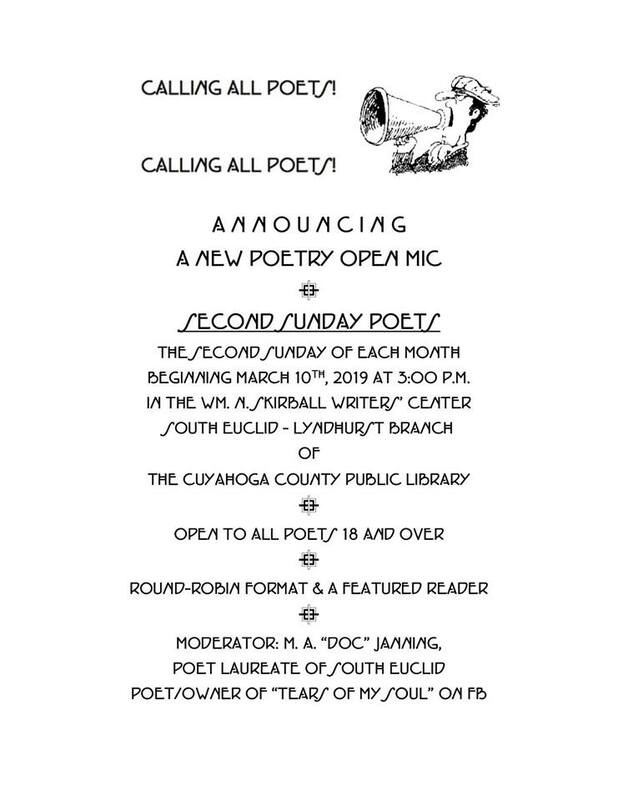 "Doc" Janning, Poet Laureate of South Euclid, OH, at the Cuyahoga County Public Library's South Euclid-Lyndhurst branch. I hope you'll join me in supporting Doc in this new endeavor and bring something to share at the open mic.